Back in 2013, the Pittsburgh Pirates were finally able to snap their 21-year postseason drought. Last season, the Toronto Blue Jays saw their 22-year postseason skid end. And now, the Seattle Mariners are in good positioning to get rid of their own 15-season departure from the playoffs. Sitting just one game back of a Wild Card spot (6 back of the Rangers for the divisional lead), the Mariners are doing all they can to finally make it to the playoffs for the first time in quite a number of years. At the beginning of the season, a lot of people predicted the Astros to run away with the division after the great season they had last year. But things haven’t gone exactly as planned for them, leaving the door open for the Mariners to make their climb up the division standings. But it hasn’t been all luck for the Mariners. Their big three of Nelson Cruz, Robinson Cano and Kyle Seager have each been having fantastic years, and have been doing a great job of carrying the team even when their pitching hasn’t been that great. And their pitchers have been fairly subpar at times. Felix Hernandez — their Ace of the staff, and normally a perennial Cy-Young candidate — has been a bit shaky throughout the season (though, he’s looked good in his starts since his DL stint). Likewise, the rest of Seattle’s rotation hasn’t been overly dominant, though they have done enough to get the job done for the most part. In the end, it’s the Mariners pitching that’s going to be the deciding factor for whether or not they make it to the playoffs. No matter what, the Mariners have shown the world that they have the ability to be a very competitive squad. Whether or not they make the postseason is yet to be determined, but their place as a dangerous team for years to come has already been established. The story of Thursday night was Jackie Bradley Jr.’s 29-game hitting streak ending, but the story of Friday night will likely wind up being the MLB career of Julio Urias beginning. At 19 years old, Urias is set to become the first starting pitcher since Felix Hernandez in 2005 to make their major league debut as a teenager, with Hernandez going on to post a 2.67 ERA over 12 starts that season. If Urias can post numbers anywhere close to that, I assume the Dodgers would see that as a successful first year. But there are some people around the baseball world who are anticipating that Urias could actually post numbers better than those of Hernandez in his first year in the bigs. That’s what makes his debut so exciting and so closely watched. As the number two prospect in all of baseball, Urias has been on the radar of a number of people for quite some time, and is projected to become the game’s next big superstar. Given, there have been a number of players who were coined as can’t-miss prospects only to fall apart in the majors, but Urias appears to be the real deal. The last time a teenage starter made their debut with the Dodgers was back in 1980, when Fernando Valenzuela made his debut of what would become a fairly successful major league career. Understandably so, Urias is getting a lot of comparisons to Valenzuela, not only for his age, but also with both of them originally being from Mexico and pitching left-handed. However, I don’t feel it’s fair to look for Urias to bring anything to Los Angeles like “Fernandomania” was. If that happens, great. But I never like to see a ton of pressure put on a guy’s shoulders to develop into something that’s already happened, especially someone as young as Urias. He is a different guy, and should therefore simply be appreciated for the pitcher he is. Even so, Urias certainly deserves all the hype he’s getting, as he brings a career 2.63 ERA in the minors (along with a mere 1.10 ERA over seven starts in Triple-A this season) into his debut on Friday night against Jacob deGrom and the Mets, under the bright lights of New York. Whether or not he gets his career started with a bang right out of the gate, or takes a few starts to settle in, Urias is still expected to become the strong number-two-starter behind Clayton Kershaw in the Dodgers’ rotation. If that happens, the Dodgers look to be in good shape moving forward, currently 4.5 games back of the first-place Giants. After years of anticipation, the Julio Urias era has officially begun. The Cy Young award — named after the Hall of Fame pitcher who died in 1955 — was first handed out in 1956 to Don Newcombe, with the goal of recognizing the “most valuable pitcher” from each season. The first eleven years of the award saw one pitcher per year receiving the honor, but in 1967 the Cy Young began being handed out to a pitcher from each league who was voted on as the best from the season. Seventeen players who have won the Cy Young award have gone on to the Hall of Fame up until this point — several of those winners are still active players, however. The current record for most Cy Young awards is held by Roger Clemens, with seven, but sixteen total players have won multiple Cy Young’s in their career. I originally had Felix Hernandez winning the 2014 Cy Young award, and after seeing that he was one of the three finalists for the honor, I still held strong with my selection. 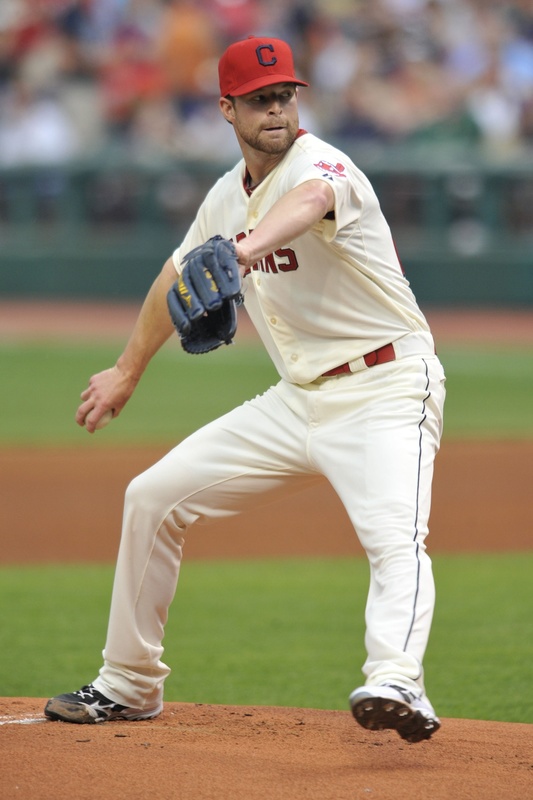 However, in one of the closest votes in Cy Young award history, Corey Kluber took home the award for his terrific, breakout season. Just edging out the win by ten points, Kluber received a total of 169 points and 17 first-place votes, with Hernandez getting the other 13 first-place selections totaling 159 points. Third place recipient Chris Sale got 78 points from the voters. Never receiving a single vote for the Cy Young award before this time around, Kluber becomes the fourth player in Indians’ franchise history to win the Cy Young award. Going 18-9 with a 2.44 ERA on the season, Kluber essentially came out of nowhere and posted some incredible outings on the season. Kluber was one of the absolute best pitchers in baseball after the All-Star break, recording back-to-back 14 strikeout games in September and notching the best overall ERA of any starting pitcher over that span. Heading into next season, it’s hard to know what to expect out of Corey Kluber. Although he was superb in 2014, there have been plenty of cases where a pitcher breaks out for a season and never performs that way again. But despite that, Kluber will in all likelihood be one of the best pitchers in the game, even if he isn’t quite as good as the masterful year he had this past season. After yet another historic season put together by Clayton Kershaw, there was no real debate over whether or not he most deserved the 2014 National League Cy Young award. Winning his unprecedented fourth straight ERA title, Kershaw’s stats simply blew away the competition, which saw the next closest N.L. ERA nearly half a run higher. 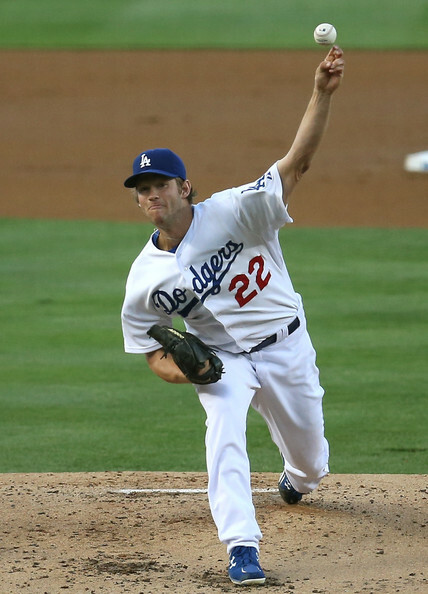 Kershaw’s unbelievable season netted him a unanimous vote for the Cy Young, with him receiving all 30 first-place votes and 210 points overall. Johnny Cueto, the second place vote getter only tallied 112 points, with Adam Wainwright finishing in third with 97 points. With the unanimous selection, Kershaw becomes the first to do so since Justin Verlander in 2011. Tying Sandy Koufax for the most Cy Young awards in Dodgers’s franchise history, Kershaw’s back-to-back Cy Young awards make him the youngest in MLB history, and one of only nine players, to win three in their career. Firing a 15-strikeout no hitter in June, Kershaw’s season was remarkable, as despite missing the first month of the season, Kershaw was able to record 21 wins to go along with a mere 1.77 ERA. With many already naming Kershaw as the predicted front runner for the Cy Young award again in 2015, barring injury, there’s a chance that Kershaw could challenge Roger Clemens’ all-time record of seven career Cy Young awards. But before Kershaw makes a run towards reaching Clemens, he is looking to become the ninth player in history to win both the Cy Young award and the Most Valuable Player award in the same year. Although some people have Giancarlo Stanton taking the honor, with a few giving it to Andrew McCutchen, there’s still a good chance that Kershaw could win the MVP. In my opinion, he deserves it. 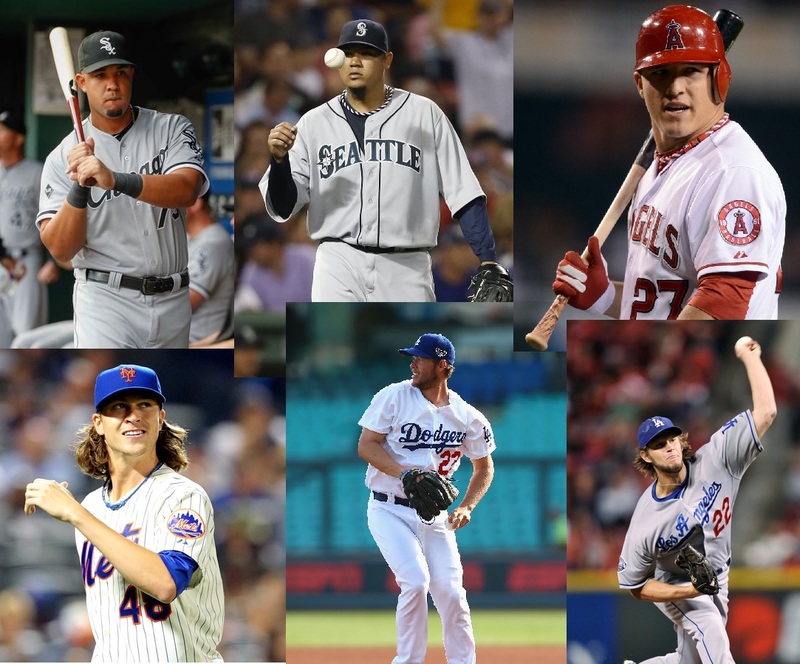 The 2014 Major League Baseball Gold Glove award winners were announced Tuesday night on ESPN2. Given out each year to the players that are judged to have exhibited superior individual fielding performances at each fielding position in both the National League and the American League, the award is voted on by the managers and coaches in each league (managers can not vote for their own players), with sabermetrics now making up around 25 percent of the vote. Marking the 57th annual Gold Glove Awards, which began back in 1957, there have been some terrific players to receive the honor. However, no other player has won more Gold Gloves in their career or in a row than Greg Maddux, who took home 18 and 13, respectively. Picking up his second straight career Gold Glove award, Salvador Perez was by far the best catcher in all of the American League in 2014. 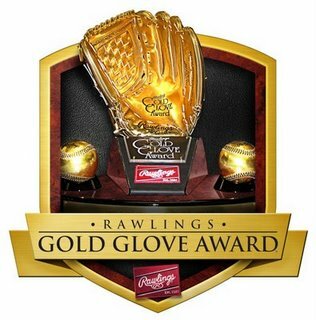 On the National League side of things, Yadier Molina takes home his seventh straight Gold Glove award. One of the best at controlling a pitching staff in all of baseball, it’s no surprise that Molina won yet again. Although Mark Buehrle has won his fair share of Gold Glove awards, this season the award went to Dallas Keuchel. Having a great season with the Astros, Keuchel isn’t that well known around baseball, but he’s one of the best defenders on the mound. Zack Greinke, surprisingly, picks up just his first career Gold Glove award for the National League, after years of great performances on the mound. Alex Gordon ended up taking home his fourth straight Gold Glove award. Always very consistent as a defender in left field, Gordon isn’t at all a shocking winner of the award. Christian Yelich on the other hand did come as somewhat of a surprise. But even so, he’s still deserving, becoming the first Marlins outfielder to ever pick up a Gold Glove. Adam Jones has established himself as one of the best outfielders in baseball today, and he extended his argument by picking up his fourth career Gold Glove award — his third straight. On the NL half of the Center Field Gold Glove awards, Juan Lagares ended up receiving the award. While he’s not well known as of yet, he could easily pick up several more Gold Gloves in his career. Nick Markakis of the American League and Jason Heyward of the National League each picked up their second career Gold Glove awards on Tuesday night for their terrific defense in the outfield. Despite the fact that Heyward and Markakis are two very different types of players, they were undeniably the most deserving right fielders of the 2014 season. All of the nominees for first base have their ups and downs defensively, but Eric Hosmer winning the Gold Glove this season is the best choice, in my opinion. His second straight Gold Glove, Hosmer showed signs of breaking out into a superstar in 2014. Also picking up his multiple Gold Glove award was Adrian Gonzalez, who hadn’t won one since 2011. Dustin Pedroia is widely known as one of the best second baseman in baseball, and he was recognized for it this season. Winning his fourth career Gold Glove award and second in a row, Pedroia could easily pick up another Gold Glove or two before the end of his career. As could DJ LeMahieu, who isn’t well known in the baseball world, but received the first of what could be several Gold Glove awards. J.J. Hardy receives his third straight Gold Glove award for American League shortstop. Known for his slick defense he shows off seemingly every night, Hardy is quietly one of the best fielding shortstops in baseball today. But many would argue that the best defensive shortstop at the moment has to be Andrelton Simmons, who won his second career Gold Glove on Tuesday and could be winning them for years to come. Kyle Seager picked up his first career Gold Glove award while Nolan Arenado received his second in a row. Both are terrific fielding third baseman, and both are early on in their careers. It is very likely that Seager and Arenado could continue to get better and better, picking up multiple Gold Glove awards in the process. There were six first-time Gold Glove winners. The Royals and Orioles had the most Gold Glove winners, with three each. There were nine Gold Glove winners who also won a Gold Glove in 2013. Also announced last night were the Baseball Writers’ Association of America (BBWAA) award finalists for 2014 Rookie of the Year, Cy Young and Most Valuable Player. For the most part, I agree with the finalists, but there are a few I’m surprised about. I have Jose Abreu and Jacob deGrom winning the Rookie of the Year award. I have Felix Hernandez and Clayton Kershaw winning the Cy Young award. I have Mike Trout and Clayton Kershaw winning the Most Valuable Player award. The winner of each award will be announced next week on MLB Network. As stated in a previous blog post, I plan on posting a recap of each winner, along with a look at how well I did with my predictions, in a blog entry after each award is officially announced. So be sure to check back for that at some point next week. The 2014 Major League Baseball Players’ Choice Award winners were announced last night on MLB Network. Unlike the BBWAA awards, these awards, as the name would suggest, are voted on by players from around baseball each September, when they receive a ballot to make their picks for each category. Six categories in all, American League players vote for American League players with National League players voting for National League players, with the exception of the Marvin Miller Man of the Year award and the Player of the Year award, in which players from both leagues vote for a single player. Although I feel that Dellin Betances should’ve been one of the American League nominees for Outstanding Rookie after the great season he had, I can’t argue at all with the winner. Jose Abreu had an unbelievable inaugural season, hitting 36 homers with the White Sox, and will likely be a big part of their future in the many years to come. On the National League side of the award, it came down to Billy Hamilton and Jacob deGrom for me. But although it was a close call, Hamilton hitting around .250 earns deGrom the award. All three American League nominees had incredible seasons worthy of recognition, but Felix Hernandez had the best statistical season of them all. Posting a career high 15 wins and a career low 2.14 ERA, Hernandez was the obvious choice. As was Clayton Kershaw. Taking home the Outstanding Pitcher award for the National League, Kershaw had a historic season with a miniscule 1.77 ERA, and there was no way that he wasn’t going to win this award. Obviously the one award that a player least wants to receive, meaning that they bounced back from years of injuries or poor performance. (But the important aspect, I suppose, is that the player did in fact bounce back.) Winning the Comeback Player of the Year award for the American League was Chris Young (the pitcher, not the outfielder) along with Casey McGehee for the National League. Both players had tremendous 2014 campaigns, coming off recent struggles on both their parts. Seemingly getting better and better each year, with plans to get even better in 2015, Mike Trout was the players’ choice for Outstanding American League player of the year. Scoring over 100 runs for the third straight season, and breaking the 30 homer mark for the first time in his young career, Trout could be taking this award home for many years. For the National League, Giancarlo Stanton received the honor. Despite an injury which cut his season short, players agreed that Stanton, with his incredible display of power, is the rightful winner. The Marvin Miller Man of the Year Award is given each year to the player most recognized for outstanding on-field performance and off-field contributions to his community. Past winners include Mark McGwire, Albert Pujols, Chipper Jones and Mariano Rivera, among many others. This year, the award went to Clayton Kershaw, whose ‘Kershaw’s Challenge’ looks “to encourage people to use whatever God-given passion or talent they have to make a difference and give back to people in need”. Combine Kershaw’s community contributions with his 2014 stats, and he definitely is the top choice for the prestigious award. Taking home his third award of the night, and bringing the total amount of money donated by the MLB Players Trust to $120,000, Clayton Kershaw takes dominance of award winning to a new level. Going 21-3 with a 1.77 ERA over the course of the season, Kershaw likely is just getting started. With the Baseball Writers Association of America (BBWAA) awards being given out next week, it’s almost certain that Kershaw will take home the National League Cy Young award — with many putting him in line to win the NL MVP as well. Before I begin my recap of my votes for the major MLB awards, I want to take a second to acknowledge both the Royals and the Giants on advancing to the 2014 World Series. Both teams were outstanding in their given league championship series, with the Royals sweeping and the Giants losing just once. And thus, it should make for a very entertaining World Series, which begins in Kansas City on Tuesday. But while I’m going to make some World Series predictions in my next blog post, this post is meant to focus solely on the major MLB awards. Over the past week, or so, I’ve been typing up individual posts on who I feel most deserves the awards of American League and National League Rookie of the Year, Cy Young and Most Valuable Player. Some of the choices were easy, while others took a great deal of debate. But in the end I went with my gut of who I feel deserves each award the most. Feel free to click the links associated with each award to be taken to my post on it, giving the full reasoning behind my picks. I’m planning to post a blog entry covering the winners of each award when they’re announced towards the middle of next month, comparing my original picks to the winners and giving my overall thoughts, so be sure to check back for that.